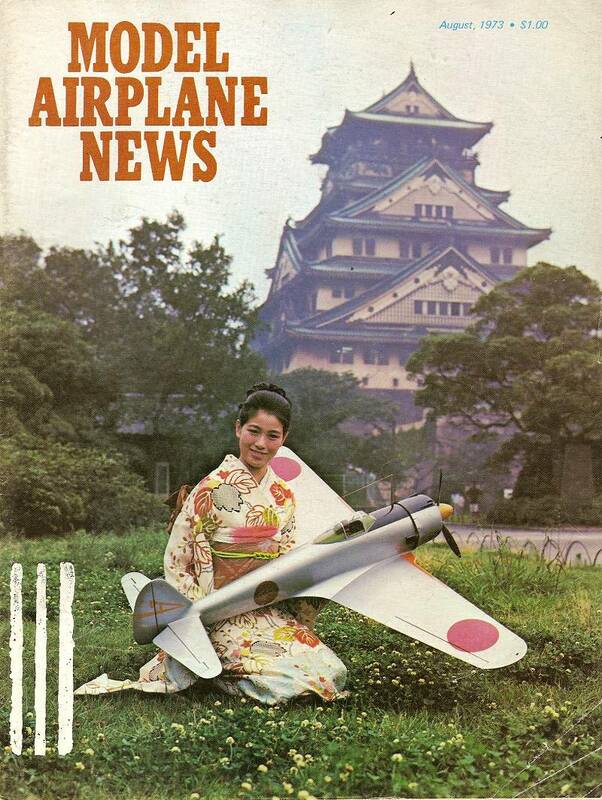 Une compilation d'informations et de photos sur les kits qui ont été produits par Marutaka ainsi que sur les avions qui ont servi de modèle. Merci de me communiquer toute information ou photo utile pour publication éventuelle. 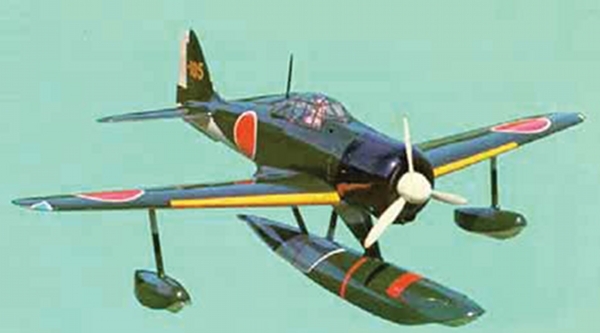 MTK-004 Nakajima A6M2-N "Rufe" FLOATPLANE: FIGHTER based on A6M-2 Model 11 with modified tail and floats. 1:8 WS 1490mm S 37,5 dm² 3,2 -3,6 kg .60 RC 4-5 ch. 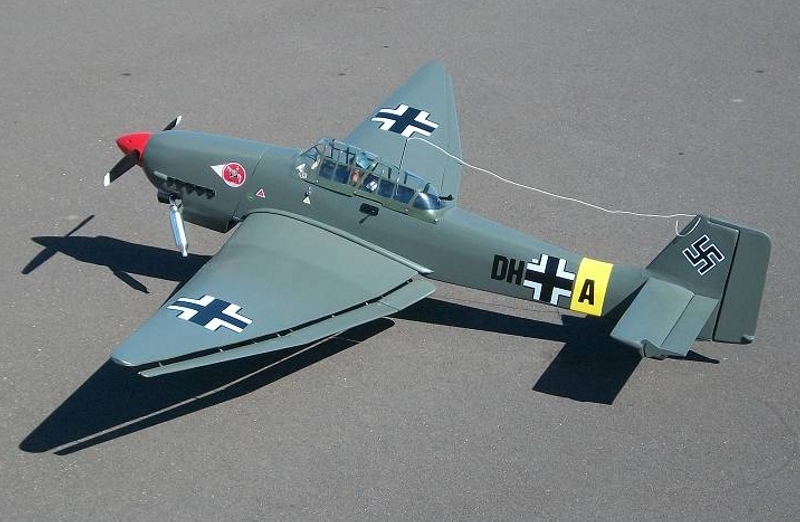 MTK-006 JUNKERS JU87 D-5 STUKA (from Sturzkampfflugzeug which means diving bomber) 1:7.65 WS 71 " 760 Sq./in. .60 - .80 4-5 ch. MTK-007 CHANCE - VOUGHT F4U-1D CORSAIR 1:8 1570mm 3,2-3,6 kg .60 4-6 ch. 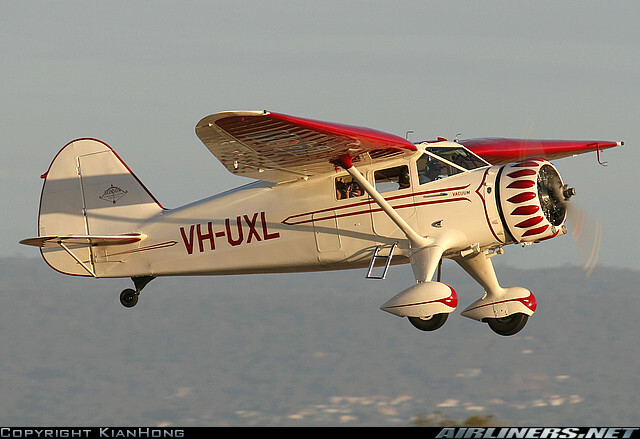 MTK-012 DOUGLAS C47 Skytrain - DC3 1:13,7 WS 2112mm 49,5 dm² 3,8 - 5kg .35 - .40 x2 4 - 6 ch. 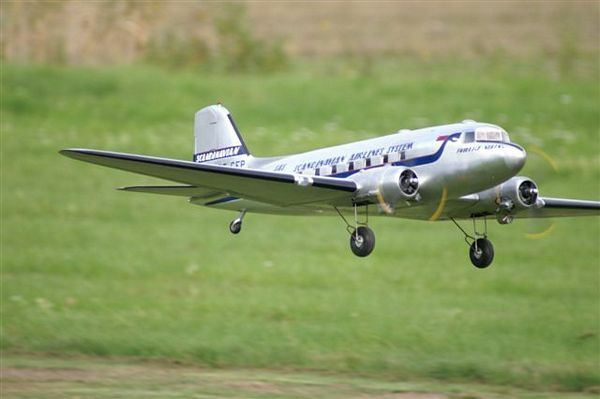 Le Douglas C-47 était basé sur le DC-3, mais son envergure avait 15 cm de plus et il avait de plus grandes portes cargo, un fuselage renforcé et des crochets d'arrimage à hauteur de la section centrale de l'aile. MTK-013 NORTH AMERICAN B-25 MITCHELL "Billy" WS 70 7/8" 1800mm , 750 sq in. 47 dm² 4,5- 4,8 kg .40 - .45 x2 4 - 6 ch. Premier vol en 1958. Encore en service 50 ans plus tard! Plus de 5000 furent construits, jusqu'en 1981! 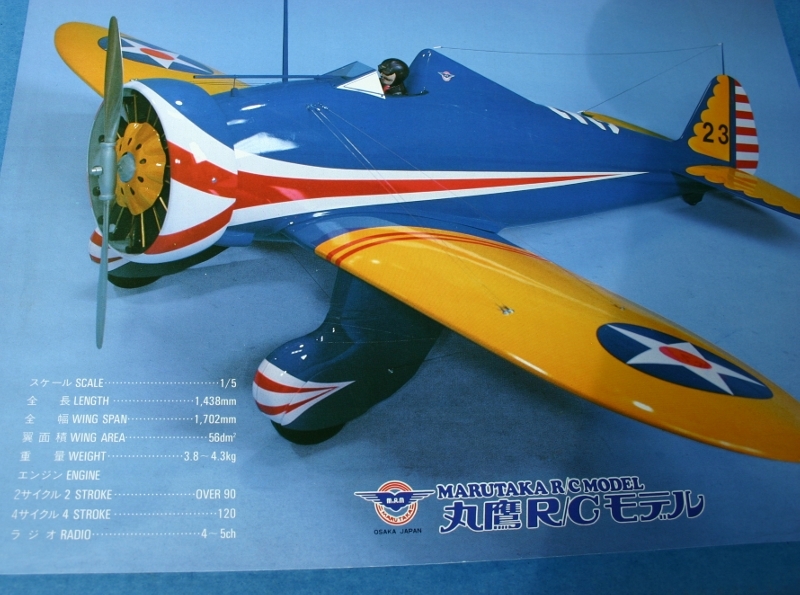 MTK-018 PITTS SPECIAL S-1 1:6,86 WS 1422mm 58,55 dm² 3,4 - 3,9 kg .50 - .60 4 ch. MTK-019 PITTS SPECIAL S-2 1320mm 53,4 dm² 2,8 - 3,5 kg .40 - .60 4ch. 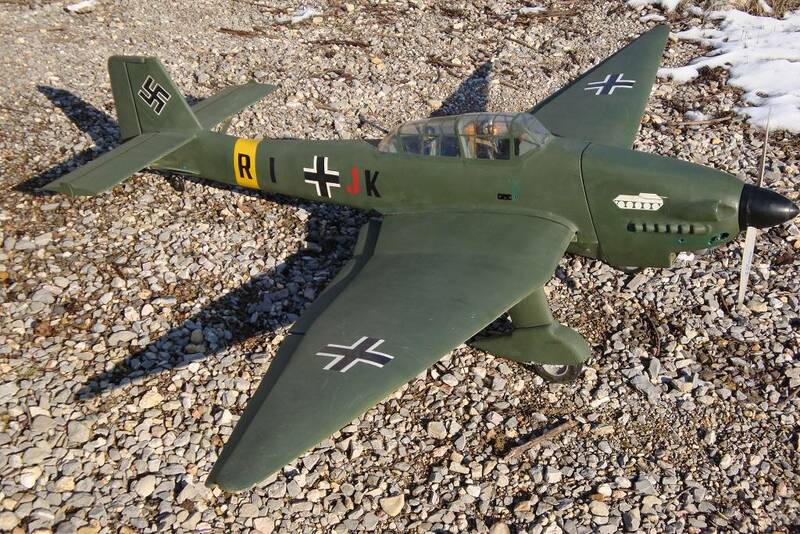 MTK-020 FOCKE-WULF Fw 190 A8 1:7 WS 1530 mm 39dm² 3,2 - 3,5 kg .49 - .60 4- 6 ch. Merci à ( nom à ajouter)d' Australie pour la photo du Spit qu'il a construit en 1980 et qui volait super bien. 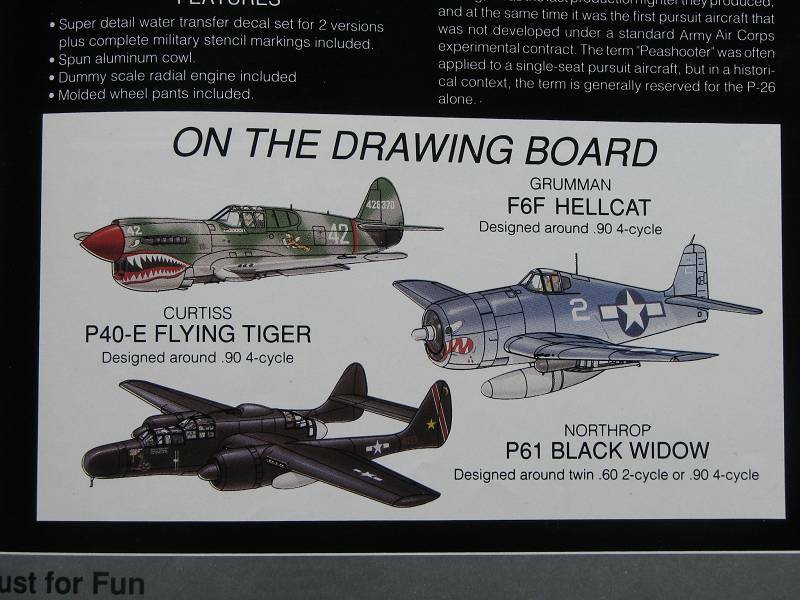 MTK-022 GRUMMAN F8F BEARCAT 1:6,85 1580mm 47,5 dm² 3,5- 4 kg .60 - .80 4 - 6 ch. MTK-023 CESSNA 172 1:8 1376 mm 25dm² 2 - 2,5 kg .19 - .25 3 - 4 ch. MTK-025 BLERIOT XI 1:6 1310mm 2 - 2,6 kg .40 - .50 3 - 4 ch. 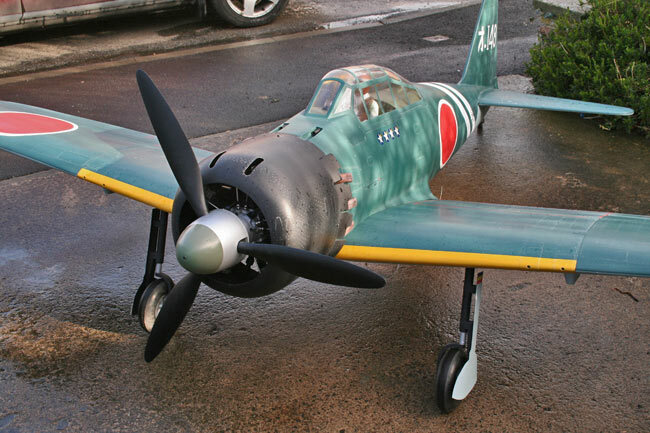 MTK-026 ZERO FIGHTER A6M2 Type 0 model 21 1240mm 26 dm² 1,5 - 1,7 kg .20 - .25 3-5 ch. 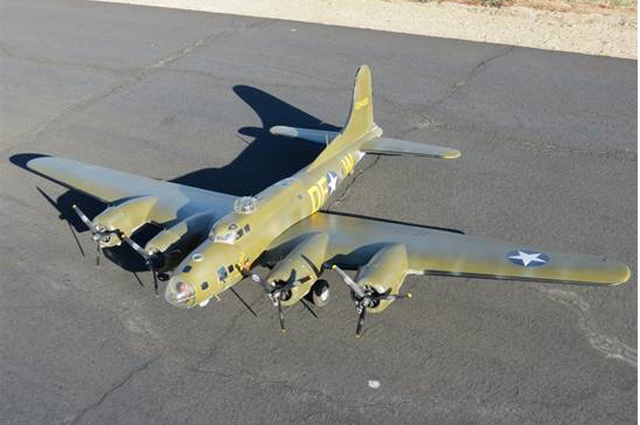 MTK-027 B-17E FLYING FORTRESS 1:16 1980mm 52dm² 4,5 - 5 kg .20 x4 4-6 ch. 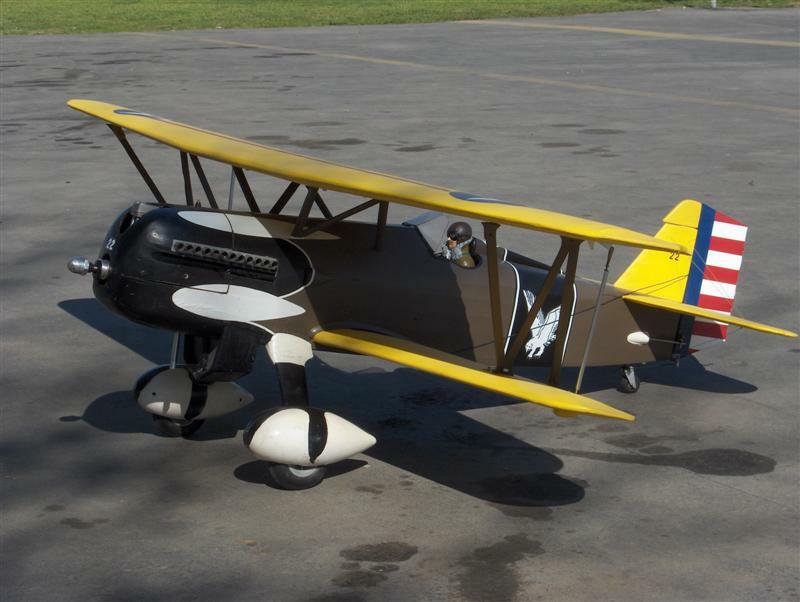 MTK-028 PITTS Little Half ½A WS 800mm 21,6dm² 0,9 - 1,2 kg .10 - .15 3 - 4 ch. MTK-029 Mini Devil sport WS 875mm surface 14 dm2 580 - 1000 gr. .06 - .09 2 - 4 ch. MTK-030 Mini Bird sport WS 820 mm surface 12,8 dm2 400 - 600gr. .049 - .060 2ch. MTK-031 Mini Bee sport WS 900 mm 14 dm² 550 - 700gr. .049 - .10 2 - 3 ch. MTK-032 Mach Mini sport WS 800mm surface 13 dm2 400 - 650 gr. .049 - .06 2ch. MTK-033 Mini Safe sport WS 900 mm 14 dm² 550 - 700gr. .049-.06 2 ch. MTK-034 BLERIOT XI WS 1170mm 1 - 1,4 kg .09 - .15 2 - 3 ch. 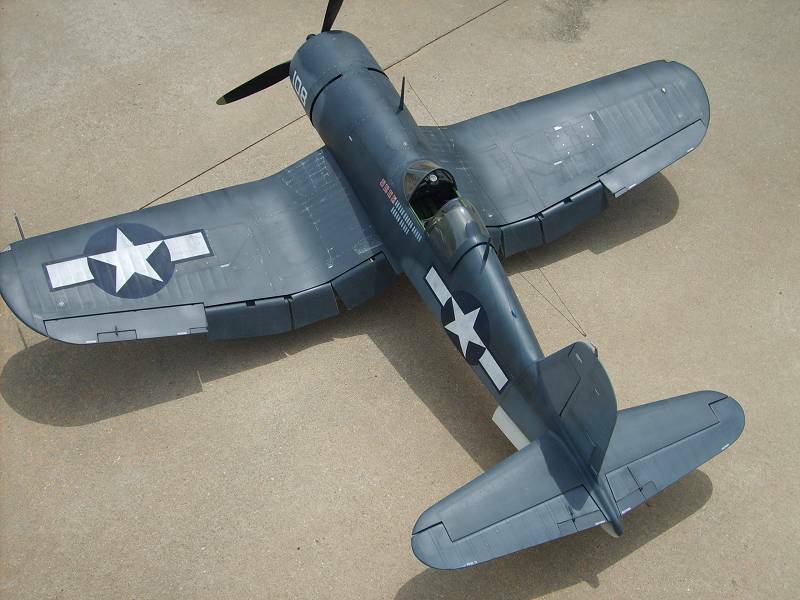 MTK-035 ZERO FIGHTER A6M5-52 1:8 fuselage Epoxy Length 1.160 mm WS 1.480mm S=37,5 dm² Weight 2,6 - 2,9 Kg Engine .40 -.50 RC 4-5 ch. MTK-036 North American P-51D Mustang 1:8 fuselage Epoxy Length 1.230 mm WS 1.430mm S=37 dm² Weight 2,6 - 2,9 Kg Engine .40 -.50 RC 4-5 ch. 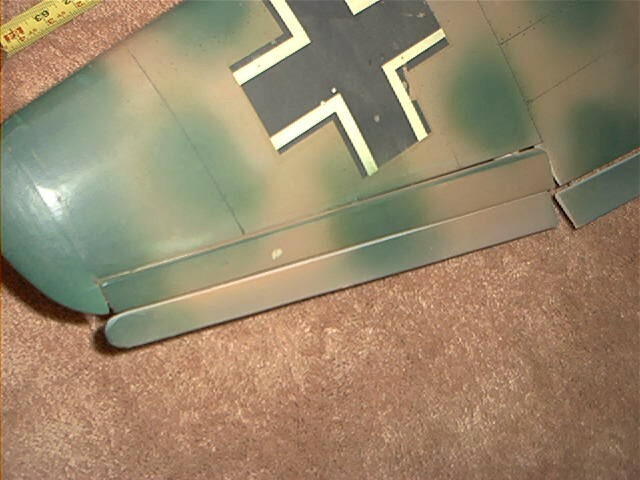 MTK-037 MESSERSCHMITT BF 109E 1:6,4 WS 1541mm 40dm² 3,3 - 3,5 kg .60 4 - 6 ch. 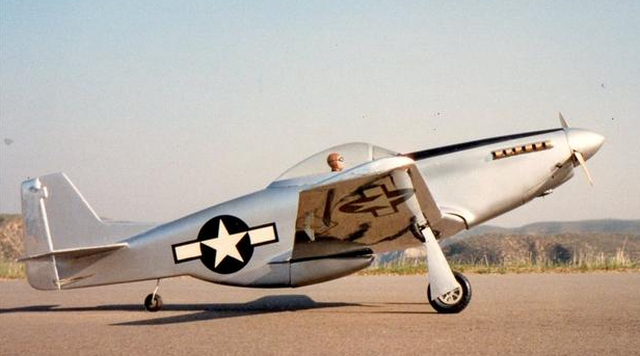 MTK-040 NORTH AMERICAN P 51 MUSTANG ½A WS 900mm 14 dm² 0,7-0,9 kg .051- .10 2-3 ch. 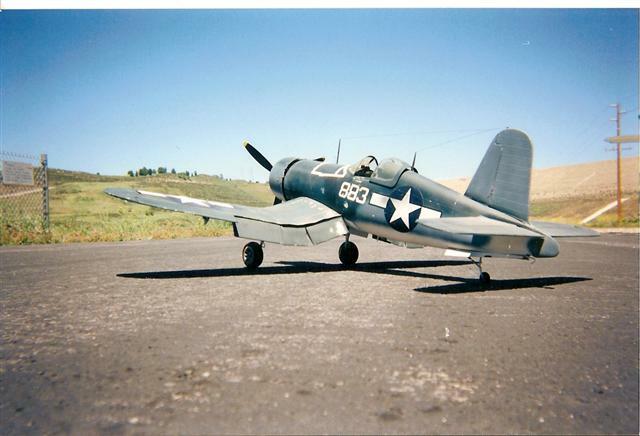 MTK-041 CHANCE - VOUGHT CORSAIR F4U-1D ½ A 900mm 14,8 dm² 0,8-1kg 2-3 ch. 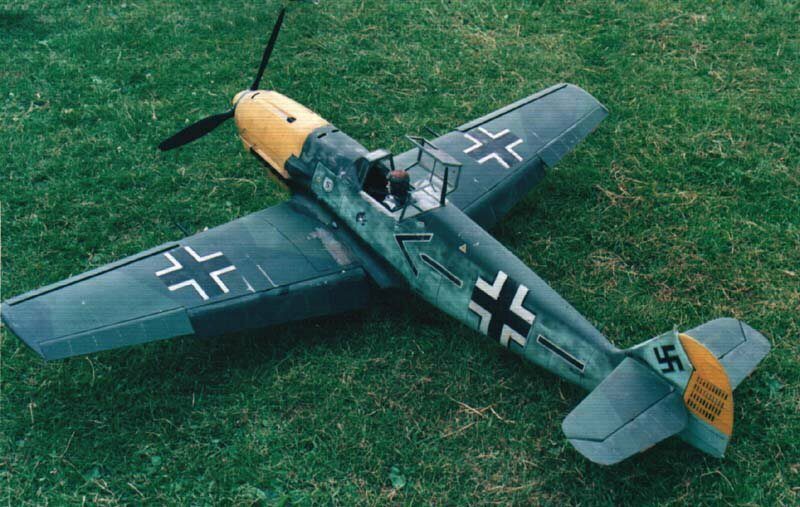 MTK-043 MESSERSCHMITT BF 109E 1/2 A WS 900mm 14,8 dm² 0,6 -0,8 kg .049-.10 2-3 ch. MTK-044 Mitsubishi J2M3 Model 21 RAIDEN "Jack" WS 920mm 16,5dm² 0,8-1,2 kg .10-.15 3-4 ch. MTK-045 ZERO FIGHTER WS 1200mm 24 dm² 1,7-2,2 kg .19-.40 3-4 ch. 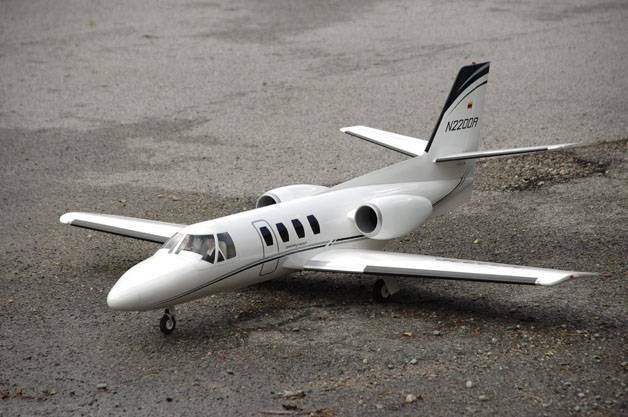 MTK-046 KNIGHT WAY Sport WS 1200 mm 1 -1.5 kg wing area 27.6 dm² 0.20 - 0.25 3 - 4 ch. MTK-049 Mitsubishi J2M3 Model 21 RAIDEN "Jack" 1:8.5 WS 1270mm .25- .40 4- 5 ch. 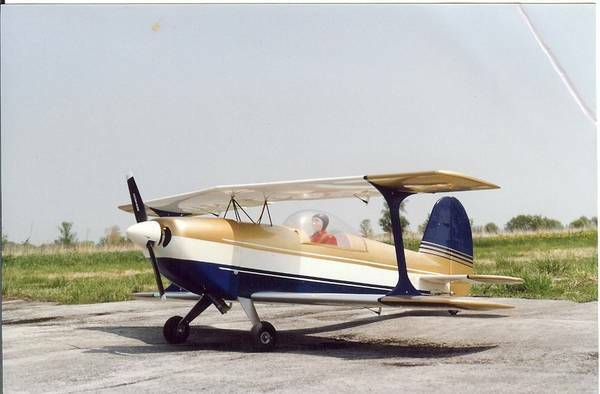 All balsa construction with aluminium engine cowl. MTK-052 CHANCE - VOUGHT CORSAIR F4U-4 1:11 WS 1135mm S 24 dm² 1,6-1,8 kg .20-.35 RC 3-4 CH. 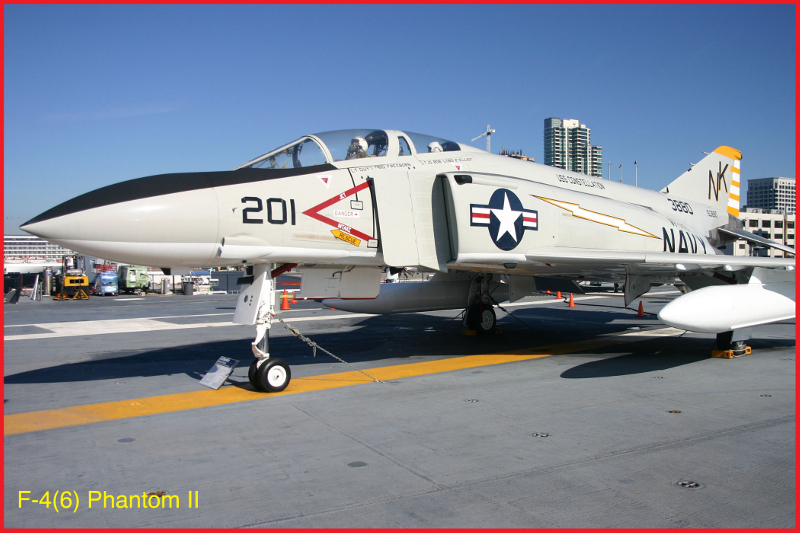 MTK-057 F-4 PHANTOM Length 810mm wingspan 795 mm surface 15 dm2 650 gr - 850 gr. 0.51-0.10 2 - 4 ch. MTK-061 MITSUBISHI T2 TOP GUN BLUE IMPULSE length 1038mm wingspan 980mm wing area 20 dm² 1.6kg - 1.8 kg 25 F 3- 4 ch. This T2 is built by Mitsubishi under Jaguar License. 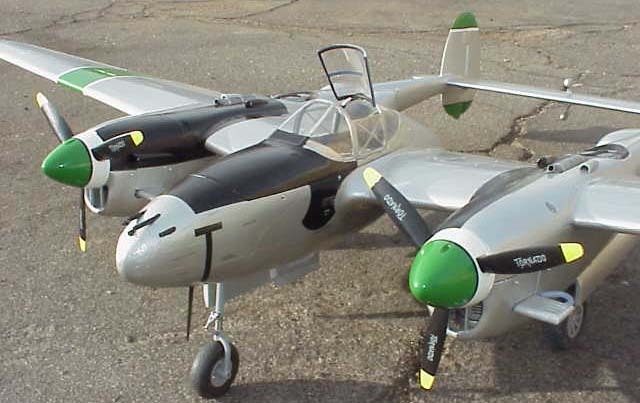 MTK-064 LOCKHEED P-38 LIGHTNING WS = 74 1/4 " or 1.889 mm, L = 50 3/4 ", S = 695 Sq. in., W = 9-10 lb, 5- 6 ch. WS 1827mm S 51 dm² 4,5 Kg 040 X2 5-6 CH. 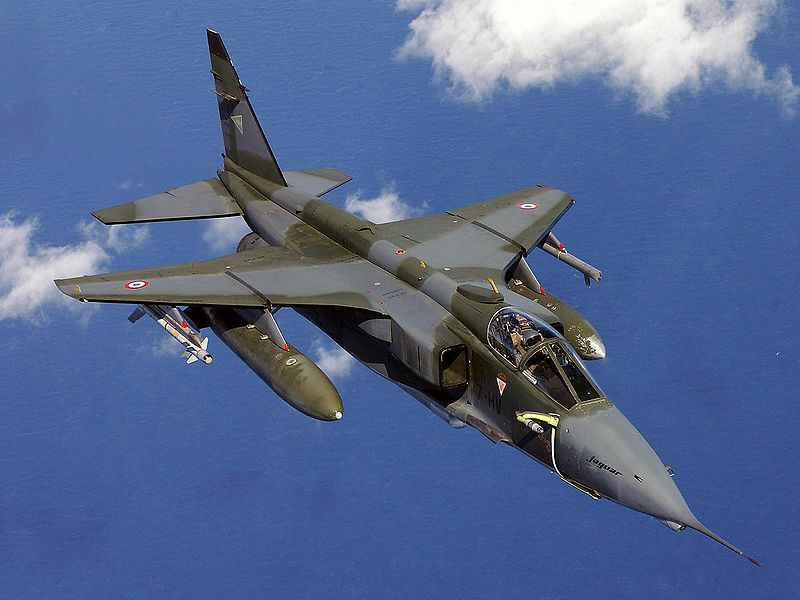 En fait, ce numéro 076 n'a probablement jamais été utilisé parce que le kit du P40 n'en était encore qu'au stade de sa pré-production lors de l'arrêt des activités de Marutaka. 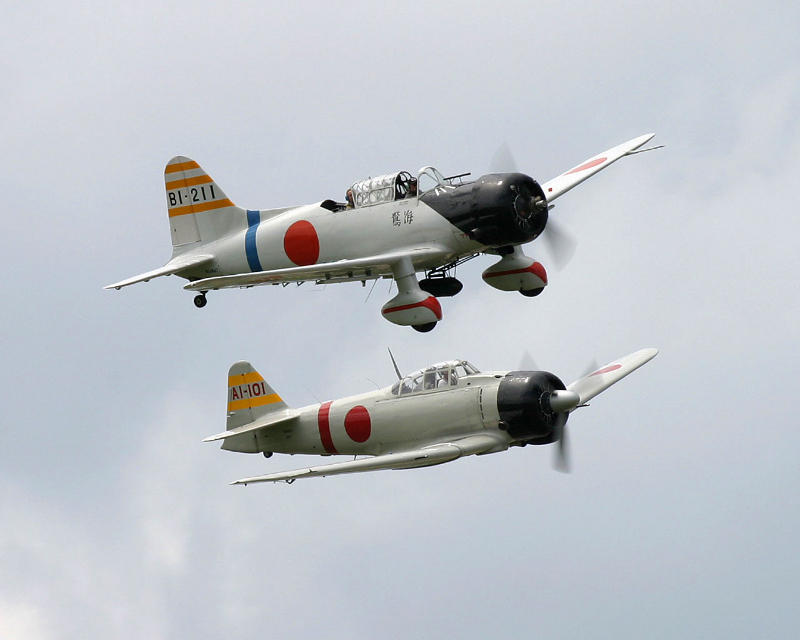 Mr. Masahiro Kato was a top FAI pattern pilot who won many Japanese National championships. As many high level modelers, he was designing and building his machines himself. 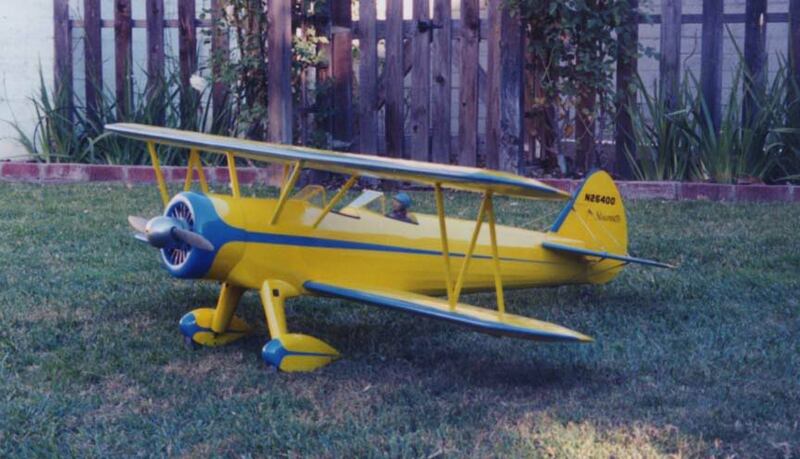 After establishing his own company, named M. Kato Model Aircraft Manufacturing Co. Ltd, he began selling his MK kits. Parts were all first quality balsa, pre-cut and many already pre-formed. A very high level of quality was achieved, Mr. Kato being without any doubt a very perfectionnist man, how could he climb to the first place in his country otherwise? 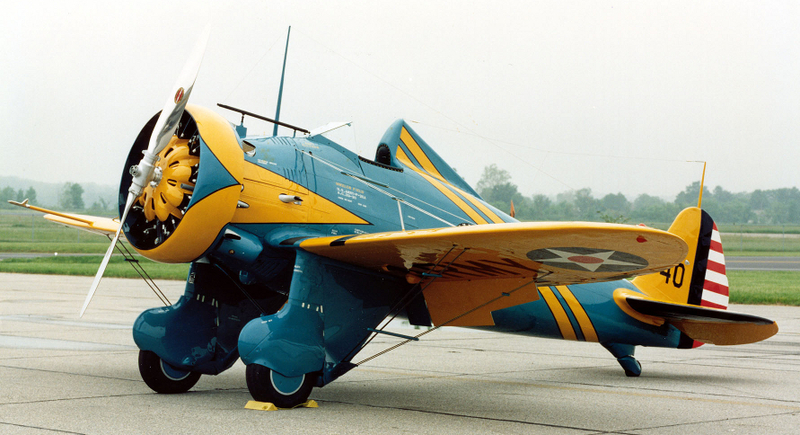 His main products line consisted of high level aerobatic models but he also designed some scale warbird. 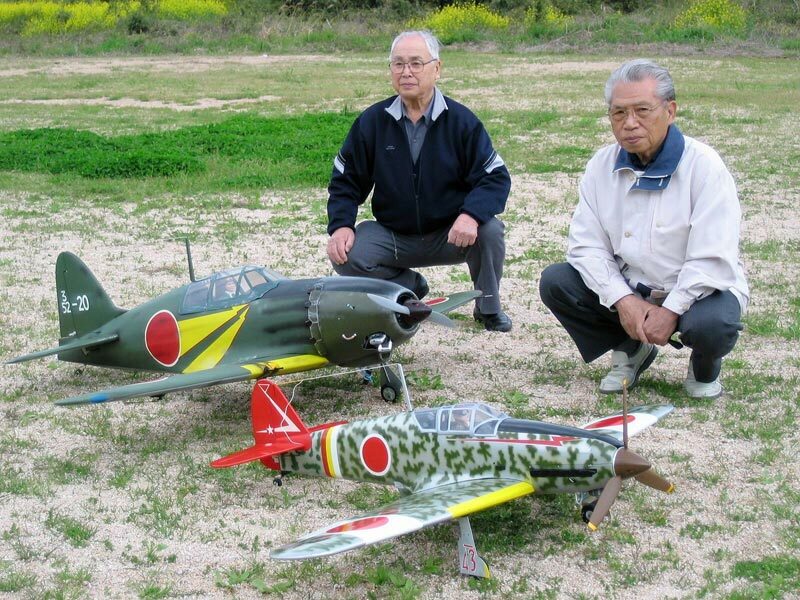 These were soon handed over to Marutaka, so he could concentrate himself on Pattern flight, altough he continued to design and draw many scale models for Marutaka. 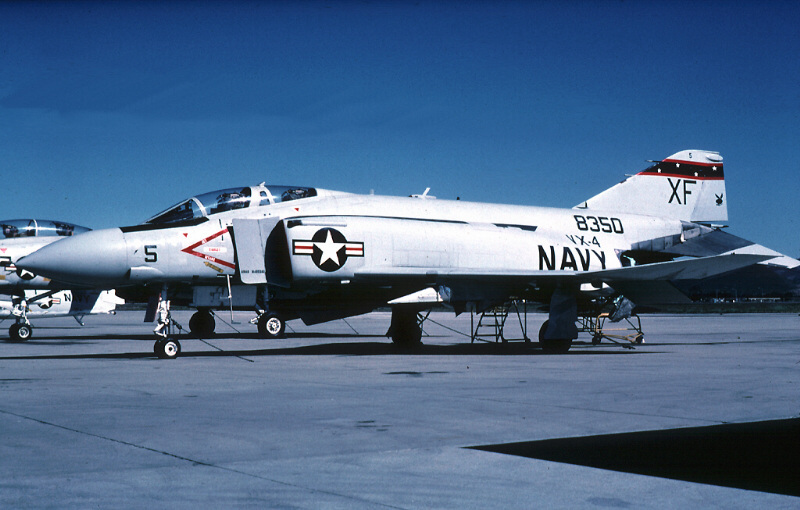 His first scale model MK kits were diffused in very small numbers and they did certainly not bring him much money, considering the high level of craftmanship involved. I will try to establish a list of the now very scarse scale models kits and also give an outlook of his long list of stunt champions, designed by M. Kato or by some of his fellow competitors. 0518 KAWASAKI KI-61 "HIEN" Junior WS 1400mm .40"